Home » Blogs » Charles Gaba's blog » Well, well, well. Who'da thunkit? ...seeing how vitally important the last-minute advertising/outreach/reminder blitz is to getting that final surge over the final few days, the Trump administration pulling the plug on the ads (some of which were already paid for, I should reiterate) will likely result in several hundred thousand people who otherwise would have enrolled by the deadline not doing so. Worse yet, as noted in the article, the final surge enrollees tend to be younger/healthier folks, which means that the exchange risk pool (which isn't great to begin with) will likely be dealt a crippling blow. The good news is that they were only partially successful in their efforts: After a massive backlash, they supposedly decided to keep some of the outreach/marketing in place (automated email reminders and some of the TV ads), although it's more likely that these were already locked in anyway and couldn't be pulled so close to the finish line. The bad news is that they were still able to kill off millions of dollars worth of advertisements anyway. As a result, I downgraded my final projection to a wide range: As low as 12.4 million, as high as perhaps 13.0 million nationally...with anywhere from 9.5 - 10.0 million of that coming via the federal exchange. 3.3 million enrollees are 18-34 years old, or 27% of the total. 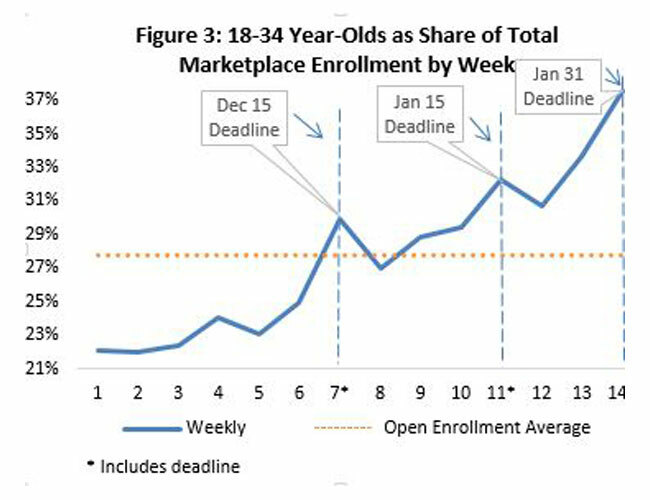 This is down slightly from the 28% of Young Invincibles that we've seen in past years, likely due to the Trump Administration's last-minute Ad-Kill stunt in the final 5 days of Open Enrollment. 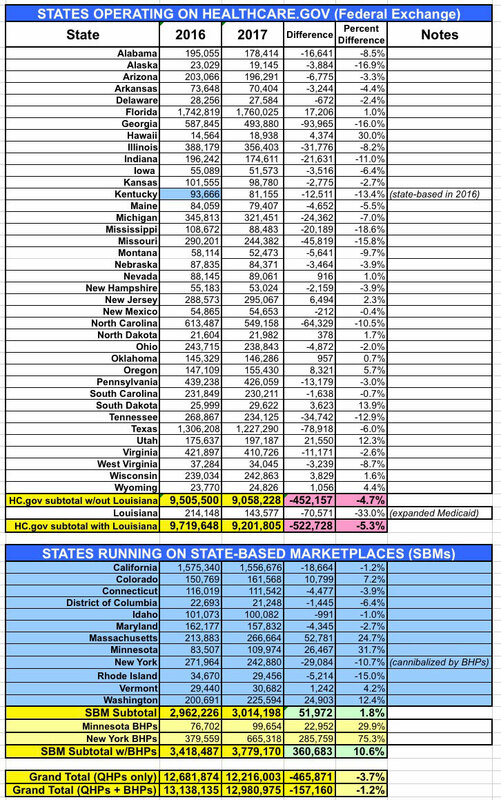 Assuming enrollment had hit, say, 13.0 million (784,000 higher), around 290,000 of those additional enrollees would likely have been 18-34 (37% of the final surge), bringing the grand total up to around 3.6 million...or 28% out of 13 million. In other words, the same 28% as prior years. ...These results have implications beyond the initial implementation period of the ACA. The future of the ACA is uncertain as of spring 2017, and proposals by Congress to repeal and replace the ACA are under discussion. Any health insurance system—particularly a system with a strong private-sector role, as articulated in Republican plans—will rely on marketing to attract new consumers. Indeed, this study demonstrates an important finding for health communication and health policy more generally: Consumers are responsive to persuasive health communication messages about health insurance, but the type of advertisement might matter.